If the informal use of the internet through personal devices on board merchant vessels encounters barriers due to patchy infrastructure and weather issues, then the formal provision of ICT-empowered telemedicine has brought to an end the era when the sea made the ship an entirely isolated environment. The ship in the age of ICT appears as Foucault described it: as a “heterotopia”; a place that is both isolated and penetrable. My interest in merchant marines was sparked by joining a cargo ship sailing from Australia to Singapore as a passenger/English teacher in 2009. The passage, though short, gave me the opportunity to discover the social life of these communities, and I became intrigued by the issue of connectivity at sea. I wrote my master’s dissertation on this topic, which I submitted in 2016 as part of the MSc in Social and Cultural Anthropology. My research was largely library-based, given the numerous requirements for boarding a merchant vessel, such as vaccinations, insurance, training and visas. These challenges may explain why even those ethnographers who have conducted fieldwork on board have spent very short periods at sea – generally a few weeks for each voyage. Considering that the world’s merchant fleet employs 1.2 million individuals, responsible for transporting around 90% of the world’s cargo, it can be argued that a numerically significant and strategically important share of humanity has mostly eluded the attention of anthropologists. In my master’s dissertation, I sought to correct this bias by focussing on maritime health and by arguing that the implementation of ICT’s amongst merchant marines is a double-edged sword. The downside is that an ICT-empowered telemedicine can exacerbate the inverse relation between illness and employability. The health of the crew has always been crucial for ship companies, as loss of labour power and evacuations for medical reasons have significant financial repercussions. Therefore, healthcare at sea has always been important from the point of view of the employer. In the past, if a crewmember was ‘under the weather’, a ship could contact a doctor on land via radio or satellite telephony. In modern telemedicine, e-mail is the preferred means of communication and, crucially, it has the potential to regularly monitor the crew and to store their personal data. For instance, some ships save their personnel’s medical history on ‘cloud’ systems, while others have installed electrocardiography machines that transmit data to shore-based laboratories, in order to monitor seafarers’ heart rhythms over several days. These innovative devices can lead to sensitive information about seafarers’ health being passed on to their employers. This can make crews feel that their occupational chances are threatened, because they are aware that companies only recruit candidates who are fully fit for service. Therefore, merchant marines may be tempted to hide their clinical conditions in order to keep a job that allows them to gain economic resources. Clearly, the medical problems that they conceal can deteriorate if left untreated. At present, the underlying principle of telemedicine remains an idealistic ‘right to health’, rather than a realistic ‘right to be ill’. To counter this phenomenon, in my dissertation I proposed a paradigm shift from ‘right to health’ to ‘right to illness’. I suggest that a shift from the expectation that crewmembers should be healthy to the acknowledgement that health does sometimes fail them would entail a more pragmatic approach to the management of sickness on board. As employers could not, by any good reason, deny their employees the right to be ill, they would be pushed to dissect the notion of illness into less vague and more manageable components. My analysis also presents a more optimistic picture of the effects of the adoption of ICT on cargo ships. First of all, more sophisticated communication systems translate into more and better options to liaise with medical professionals on land. Thanks to this, the formal provision of telemedicine can offer seafarers a level of healthcare comparable to that enjoyed by land-based communities. In particular, because it is provided regardless of rank, it may give access to medical treatment more equitably than on land, where medical resources are allocated according to economic and social status. The positive effects of the adoption of ICT on board also relate to personal uses of the Internet. During my time on board, I was impressed by crew members’ efforts to keep in touch with their loved ones at home. At that time (the voyage was undertaken seven years ago) everyone on board received emails to a shared inbox, accessed via a communal computer. This was not a very practical solution, let alone one that guaranteed privacy. Furthermore, it was not uncommon for seafarers to call home using each time a different SIM card, one for every country where the vessel docked. 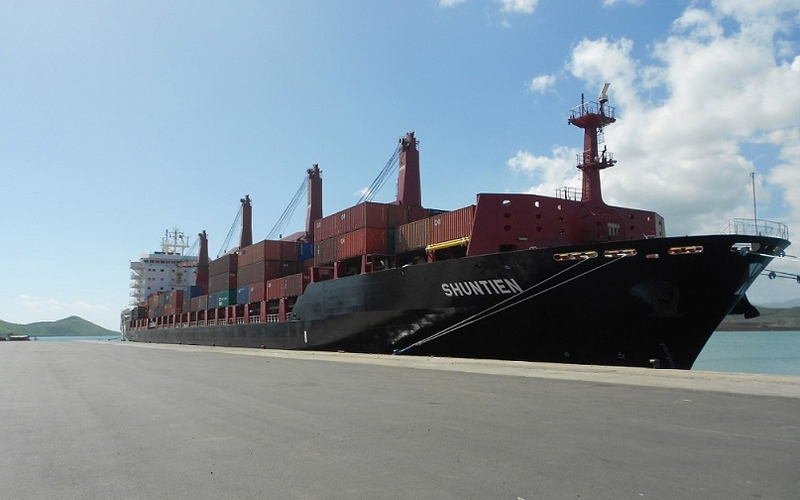 At present, most ship companies still regulate the use of private devices and, for technical reasons, connectivity is still difficult on board. As proof of this, the pictures of the training master that accompany this article may appear pixelated: they were sent through an onboard e-mail account, which can only support compressed attachments. Yet, connectivity may have improved in recent years, at least for some seafarers. While in the past the means of communication on ships were limited, nowadays the configuration of gadgets available is very diverse. 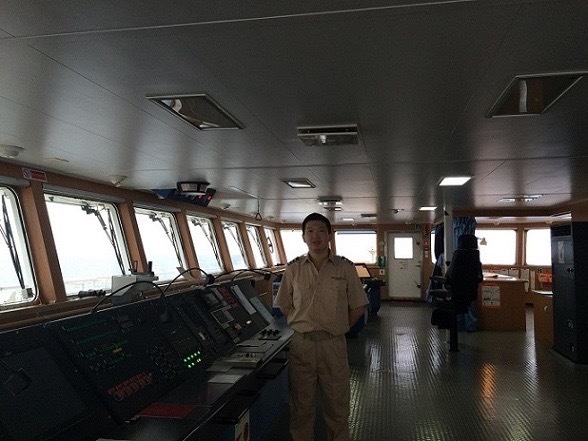 More importantly, many devices such as laptops, smartphones, external hard discs and ordinary mobile phones are in the hands of seafarers of all ranks. Informal communication facilitated by these devices contributes to seafarers’ wellbeing in two different ways. Firstly, it allows them to consult medical websites and join online health support groups. The information obtained in this fashion can be particularly valuable to those at sea, who are otherwise very isolated. In fact, due to manning practices and work arrangements, friendships on board are rare. Secondly, and perhaps more importantly, independent internet access allows merchant marines to resort to what Arthur Kleinman calls the “popular healthcare sector”, i.e. the emotional support of family and friends. This sector is essential for curing the illness, defined as the sickness as given meaning to by the patient within a particular cultural context, rather than the mere disease described by biomedicine. 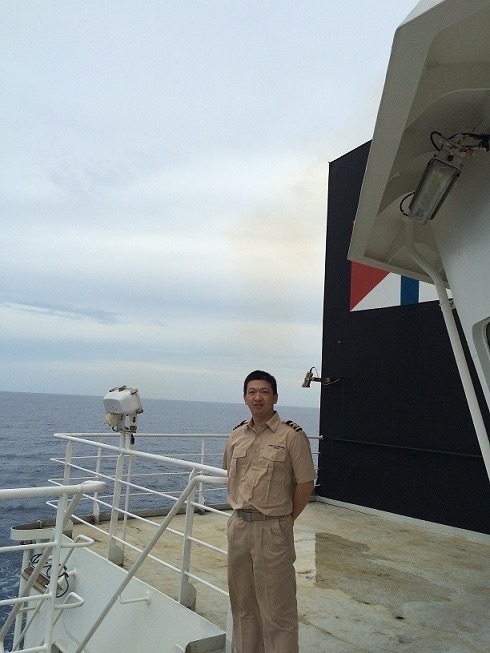 In this regard, seafarers emerge as a geographically isolated community, but also as one that is comparable to many other social groups around the world. The anthropological literature presents a plethora of cases where workers, notably migrant workers, have to conceal their poor fitness in order to make a living, thus entering a vicious circle of spiralling medical problems.